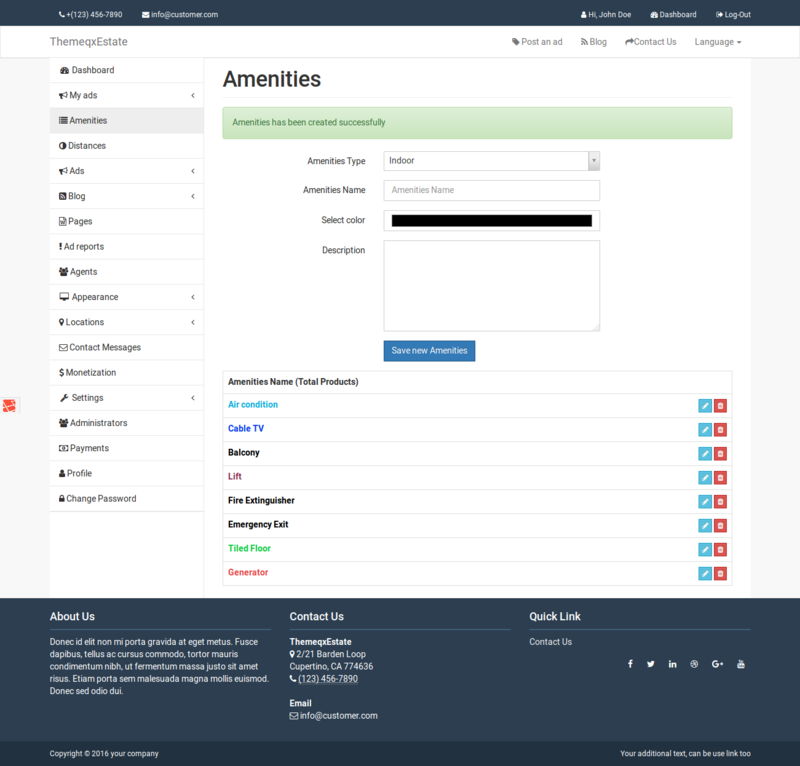 ThemeqxEstate is a Laravel Framework based modern real estate property listing portal with advanced features. Its provide you a way to create a powerful, stunning website in 5 minutes. ThemeqxEstate offering you upload your files and resources to cloud with Amazon S3. It’s built-in PayPal and Stripe payment getaway help you to charge the user for premium and urgent property listing which will be more profitable for you. 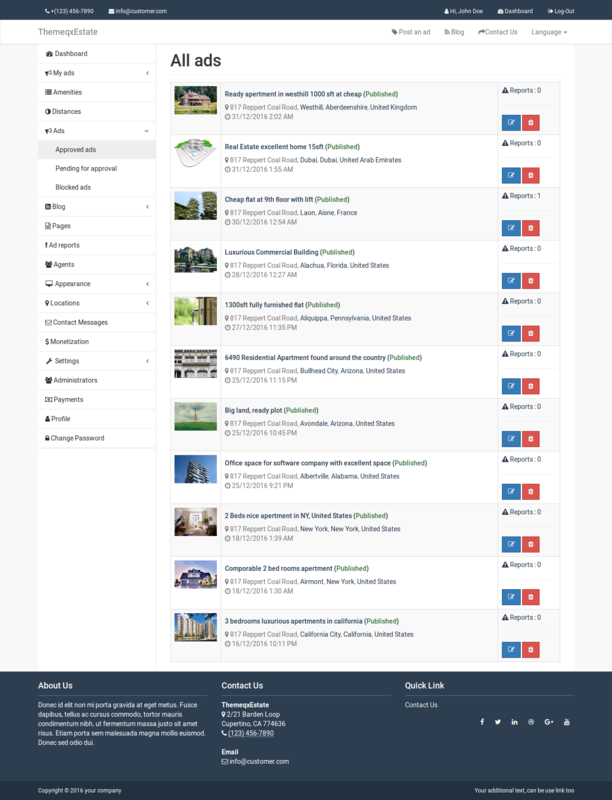 ThemeqxEstate Laravel Real Estate Property Listing Portal offers you coolest feature like Social Login (for lazy users), Blog, Multilingual support / Translation ready, Google map, Video preview with YouTube and Vimeo, Contact with an agent to send messages and phone. 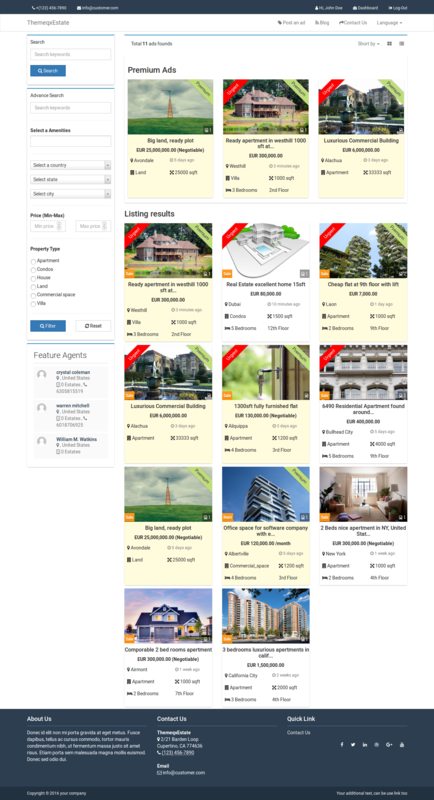 ThemeqxEstate real estate PHP / larval script is well designed that will be fit in any device. You will get free update forever. 1. 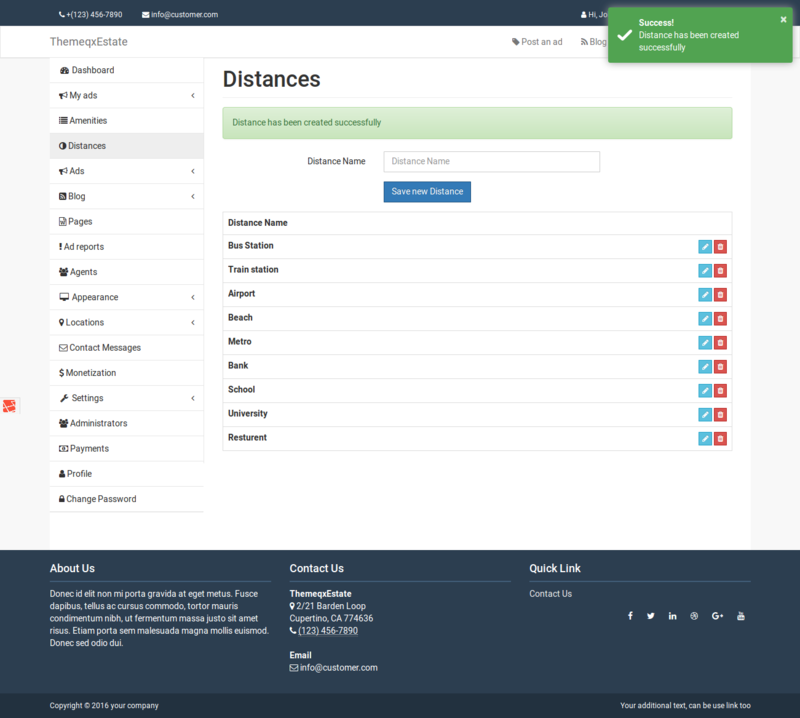 Fixed: a social login bug, updated social login to latest version of social login SDK.